Recently IAB has shared some detailed Spy Pictures of Mahindra Xylo Mini which is the upcoming mini-version of the MPV Mahindra Xylo from Mahindra and Mahindra. Mahindra Xylo has been quite popular with people with commuting needs for large families with luggage. Its no surprise that many cabs for long route use this car for its comfort and fuel economy. The Xylo mini is a smaller car with the same level of comfort but smaller on seating as it can seat 5 Adults plus 2 children as two small seats at the rear. 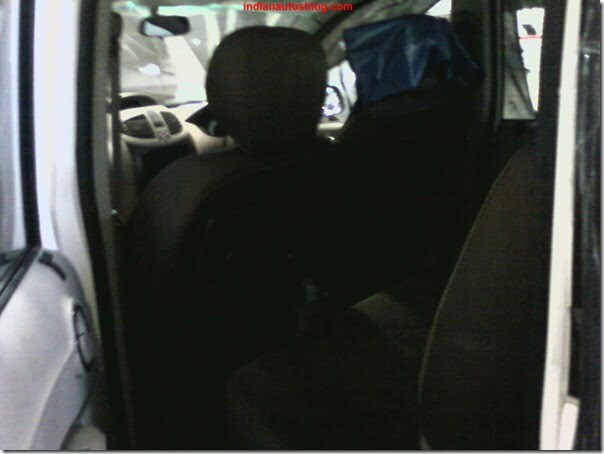 From the images, it is evident that it’s a 5 seater car with additional seating capacity of two children at the rear. 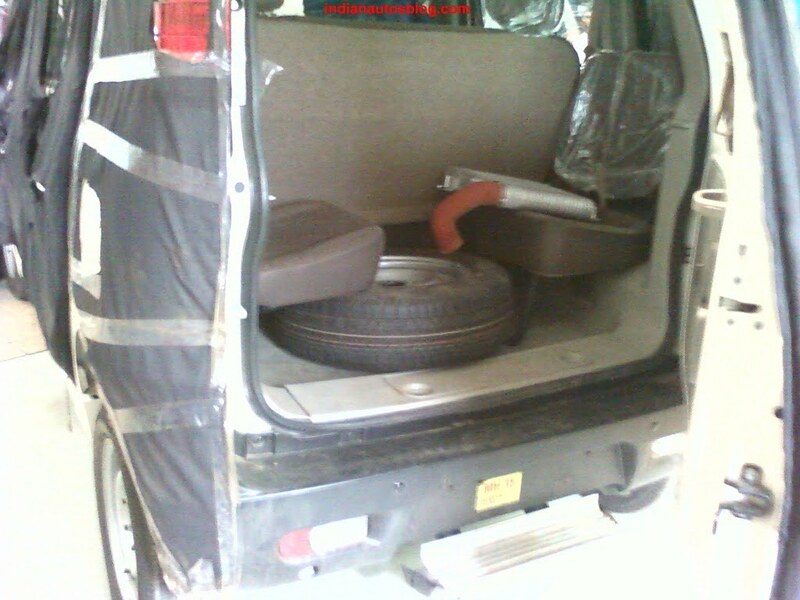 The rear seats are foldable if pulled upward to make space for additional luggage. 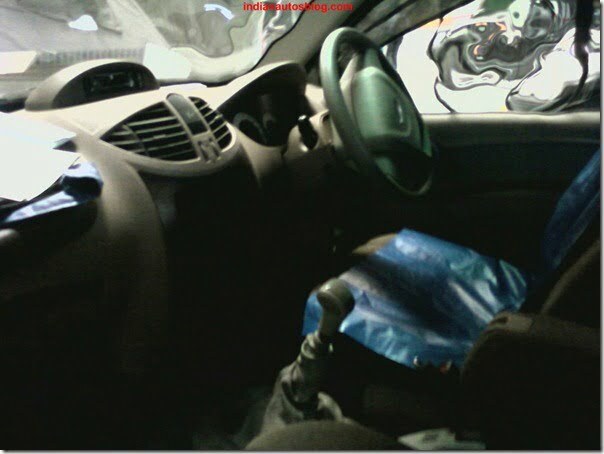 Other features include a start stop button, an LCD Display integrated with the dashboard console. There are no rear AC vents, there is an arm rest at the front seats. The AC vents on the dashboard are pretty large for good air flow and quick cooling. There are table like tray for the rear passengers attached to the rear of front seats like an aircraft seat. The interiors are very spacious compared to the sedans in the budget of up to Rs. 7 Lakhs. There is a 3 Cylinder engine with 70 BHP of power and 160 Nm of torque. The Xylo mini will be most probably priced around Rs. 7 Lakhs which will be a good competition for sedans in this segment. From the side profile, the Xylo Mini looks like a tall boy car just like Maruti Wagon R.
Xylo mini comes with large 15 inch wheels for improved ride comfort on not so good roads and the ground clearance is also ample to run on rough and bad roads of India.